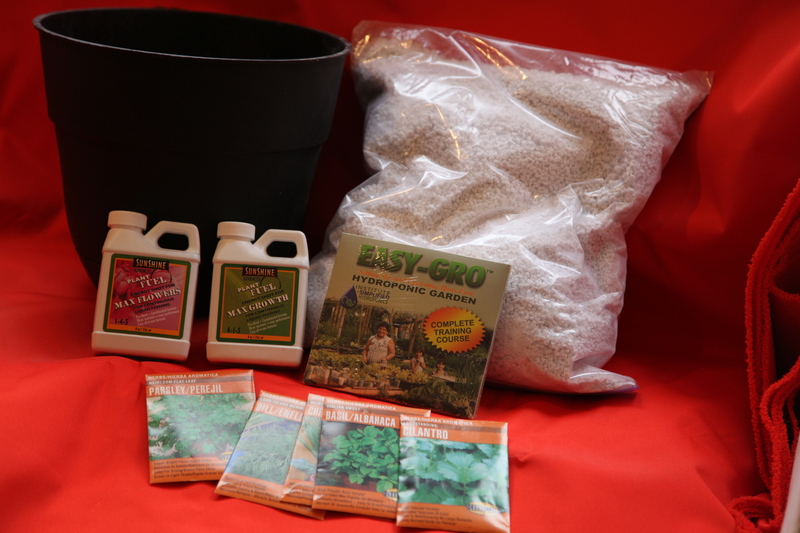 This is your introduction to growing with hydroponics, a start to your herbal hydroponic garden. several packets of herb seeds. A one gallon growing container.